If you simply write a blog post without considering SEO, you risk limiting its reach. The good news is that SEO is not hard to do, despite what SEO gurus might want you to think. Search engine optimization is all about structure and promotion, and you can do it yourself with these 16 steps. 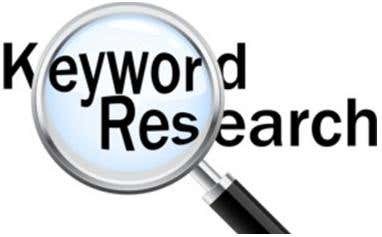 Search engines work on keywords—users type keywords into a search engine like Google, and it matches those keywords against the Web pages that it has in its index. When you do keyword research, you are not looking at what Google wants—you are looking for the phrases that your potential readers are using when they search. Therefore you should have a keyword in mind with every blog post that you write. That keyword should strike a balance between not being too broad (like "shoes"), and not being too specific (like "pink shoes size 4"). In this case, "women's shoes" or "Women's shoes for winter" are good choices. The next step is to actually write your post. When you do this, however, forget about search engines. Instead you should always write for people, making it as interesting and engaging as possible. Once you have written your post, go back over it and insert your chosen keyword into it a couple of times. However there is a caveat—you should only do this if it makes complete sense. The ideal situation, though, is to get the keyword into the first paragraph, or first sentence. 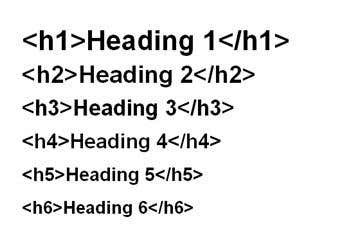 H2 and H3 tags are sub-headings. They make the content easier for people to read, but they also help with SEO. Google looks at them to help it understand what the page is about. If you can, include your keyword in these tags at least once. Make sure your spelling is perfect, and your grammar is good. Write concisely using everyday language, short sentences, and short paragraphs. Since it has been established that you should use common (but not too specific) words, avoid technical jargon if you can, and use bullet points when possible. Links are incredibly important to Google, so every blog post that you write is an opportunity to highlight other content on your blog. Include a couple of relevant links within your post. Including external links is also beneficial, provided they link to quality websites that have a high ranking. It is good because it helps Google understand what your post is about, and it will potentially help you build a relationship with the website you are linking to. Blog posts with images usually get more clicks and shares, and more clicks and shares are good for SEO. Google also looks at the images on your page and potentially includes them in its index, which can also help. To optimize your image, so make sure it is resized so that the file size is as compact as possible, and that it fits the space on your page. Ideally the image should not dominate the area above the fold, forcing your reader to scroll. Instead include images in the body of the text. Make sure the images are relevant, make the title descriptive, and include ALT text. A good URL should be 70 characters long, it should be descriptive, and it should include the target keyword. This step can be largely automated by setting up permalinks. For example, in WordPress, one of the most common blog publishing tools in the world, you can set the permalink structure so that your URLs match your titles. But it is always worth checking them on individual posts before you publish to make sure they are perfect. The title of your page should be descriptive, it should encourage the reader to click, and it should ideally contain the target keyword. Remember that the title is the main piece of text that users will see in search results, so you have to work hard to make it interesting enough that they click. Leading print and online publications could spend as much time coming up with a 5- to 15-word title as they do writing the 500 or 1,000 word main copy. That should indicate how important it is to have a good title. 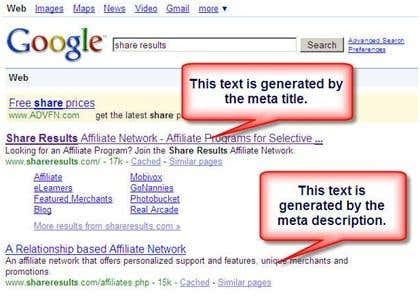 The meta description is a 120-character paragraph that should describe the blog post, encourage the reader to click, and include your target keyword. The description is used by Google to get a better understanding of what the page is about, but it also appears on its search results pages. It is therefore seen by people doing search, and can influence whether they click or not. Remember that it is bad if Google shows your page and users don’t click. By this point, the work that you can do on your blog is complete. The next step involves promoting your blog post, and one of the best ways to do that is through social media. You should continuously build up your following on social media, creating content that interests and engages. Then when you post links to your blog articles you will get shares, likes, and retweets—all of which are good for SEO. If you are not building up a subscriber list and sending out newsletters, you should be. It's an effective tool for doing direct marketing, but it can also help with SEO, particularly if you encourage your subscribers to share the blog posts contained in the newsletter that they like. The next step is to engage in some link building, which is a key part of SEO. Essentially that means reaching out to blogs and websites in a similar niche to yours to let them know about your post. There are several strategies you can use to improve your chances of success, but they all start with creating great content. Finally, measure your results. You can use Google Analytics, Facebook Insights, and other measurement tools to determine what worked, and what can be improved on.